Our Round Table model portfolio has outperformed the Wilshire 5000 by 3-4 percentage points over the last four years. Each month, our regular panel and a number of successful stock pickers share their favorite current ideas during this FREE webcast. The result is a tracking portfolio and a source that has generated some rewarding ideas since inception. 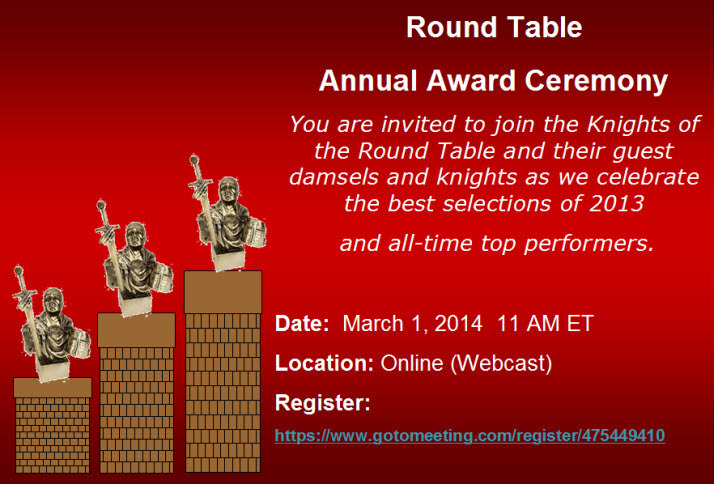 Please join us for our annual red carpet and black tie edition of the Round Table. We’ll be crowning winners for the best ideas of 2013, the best performers of the last four years … and choosing a few stocks that are currently of interest. Ken Kavula, Cy Lynch, Hugh McManus and Mark Robertson have saved a spot for you at the table next to guest damsels Kim Butcher, Susan Maciolek and Anne Manning and guest knights Herb Lemcool, Matt Spielman and Nick Stratigos. Arrive a few minutes early for the red carpet session (starting at 10:30 AM ET) where we’ll have celebrity interviews and remember, Mid-Michigan sponsored events feature an open microphone if you have a stock or investing topic that you’d like to discuss before the festivities get underway. 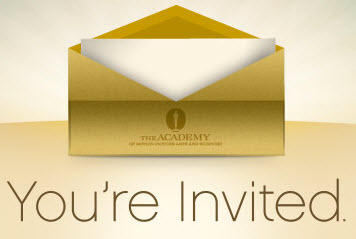 The webcast is FREE and you’re all invited to extend an invitation to friends and family.